Our financial planning process focuses on achieving financial goals, with an emphasis on retirement income planning. Founded in 2008, Atwater Malick is an independent registered investment advisory firm. We provide customized portfolio management and financial planning on a fee-only basis. We act in a fiduciary capacity, meaning that we put the interests of our clients ahead of our own, and we do not sell financial products or collect commissions. Most clients come to us during a time of transition, such as retirement, the passing of a spouse, receiving an inheritance, selling a business, divorce, etc. For prospective clients with $500,000 or more in investable assets, we welcome the opportunity to be your financial planning and investment management partner. 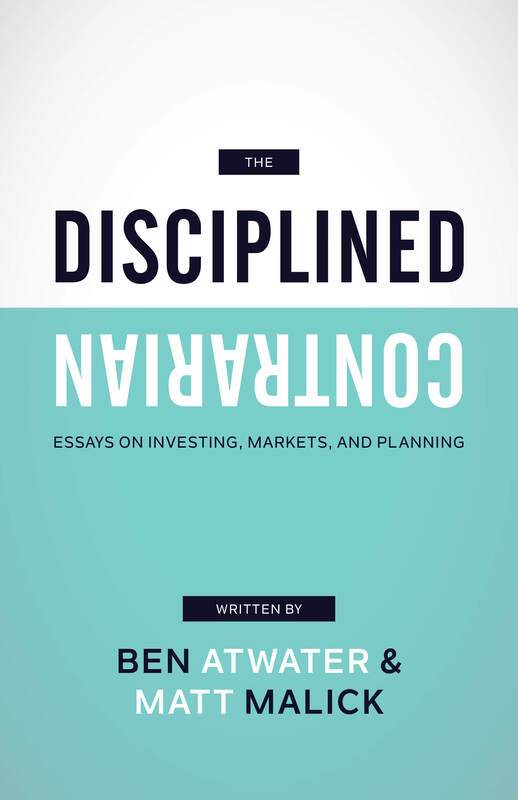 A collection of financial essays, the Disciplined Contrarian chronicles the most serious financial crisis since the Great Depression as well as the remarkable bull market that followed.